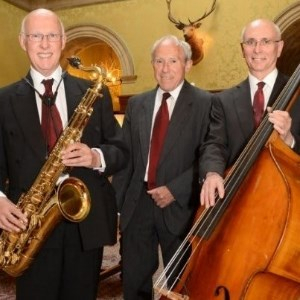 Swing Music for anniversaries, celebrations, weddings, corporate events & special occasions. We know you will enjoy our music as much as we enjoy playing it! The Trio and Band. 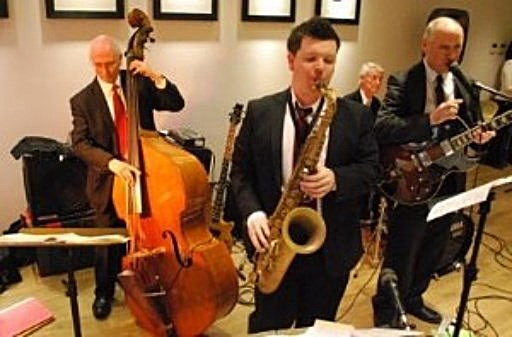 With some of the best musicians in the Midlands, and having played swing music at about 350 high-end weddings, anniversaries, celebrations, corporate events, special events & parties, The Swinging Bass Band (www.TheSwingingBass.co.uk) is tailored to help your event achieve success. Sax, keyboard & double bass trio. Great for back ground music during receptions and during a meal. Never too loud, just right to allow conversation to take place. We know how to provide the right atmosphere and how to keep the volume just right! Sax, keyboard, guitar/vocals, bass & drums & optional trumpet. "The Best Wedding Band we have heard!"